I have another helpful printable to add to your household binders today! 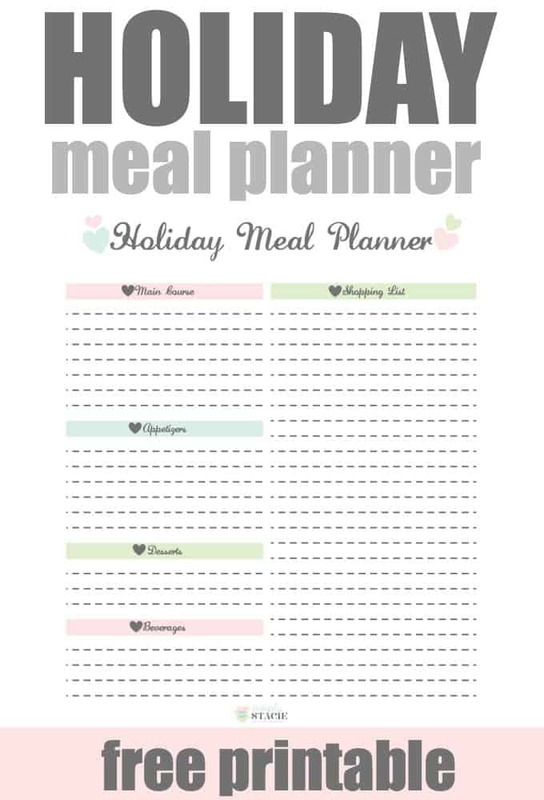 This free Holiday Meal Planner printable can be used for any special occasion. Think Christmas, Easter, Mother’s or Father’s Day or a dinner party. Plan what the dishes you will serve and create a shopping list of what you’ll need to buy. Print out a few to keep on hand. 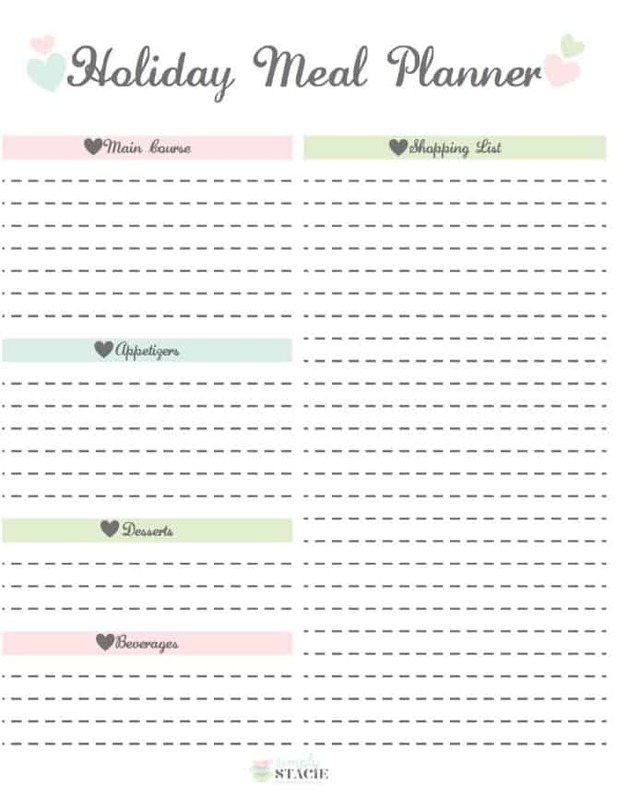 I love creating printables and helping you stay organized. It helps me too because I use them in my home. Being organized keeps me sane! For a huge list of printables, check out my post on Get Organized in 2017 with Free Printables. Fill out the form below to get your Holiday Meal Planner delivered to your inbox. I have to print some of these meal planners out. This would really help me in getting organized for the Holidays. These would be very useful. Thanks for sharing! This will be helpful to plan for the big meals on those busy times of the year. Very handy printable. Thanks. I usually just have a list on my fridge. It’s always nice having an organized list. This would help a lot. My list isn’t as organized as this but I do plan a meal then add what I need to my shopping list. I think that this would be very helpful,especially with special occasions.